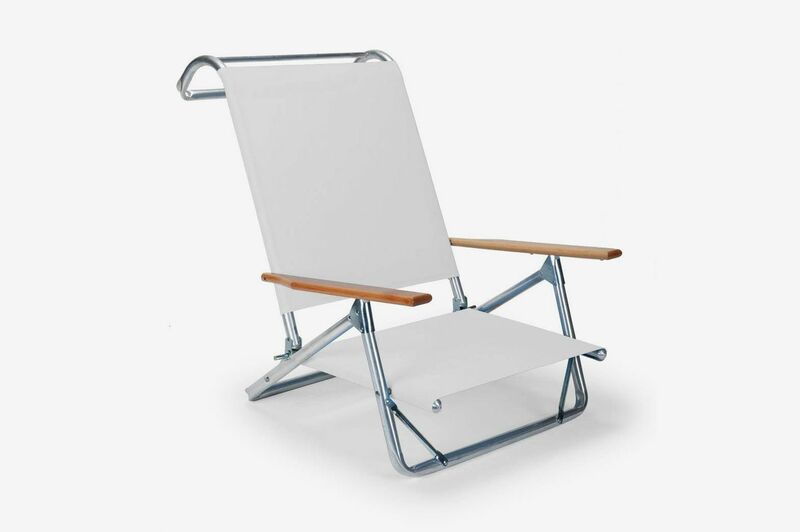 In such a stripe-heavy category, Telescope Casual makes one of the rare beach chairs in white. 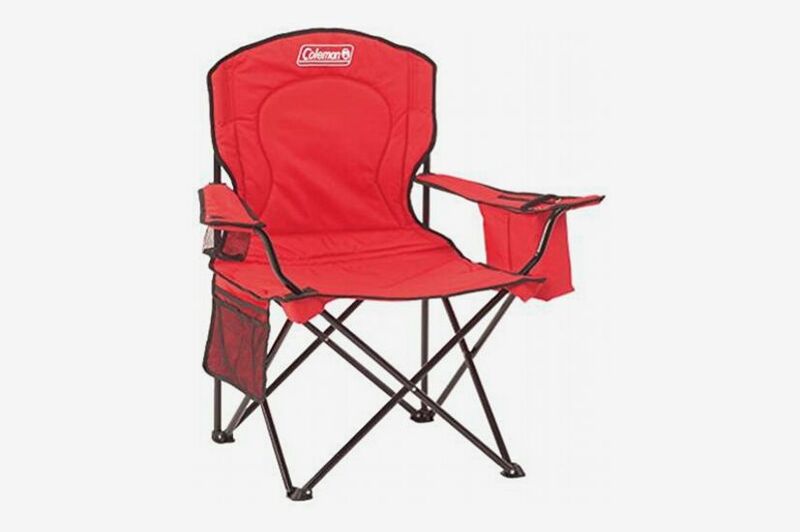 A good, long-lasting, worthwhile beach chair has a few basic requirements. 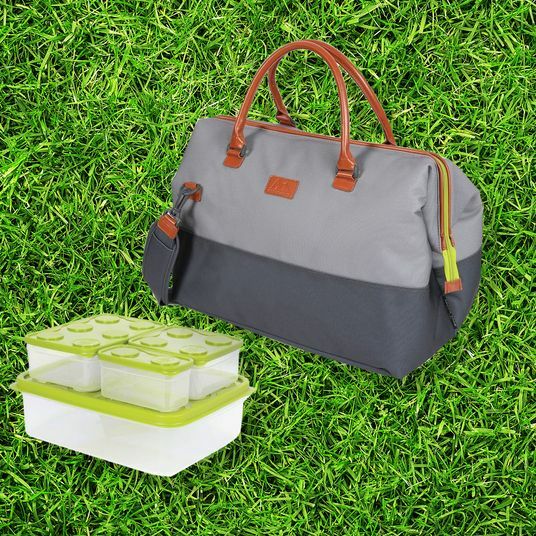 It should be lightweight and easy to carry. Its body should be made of metal, specifically aluminum, which takes longer to rust and isn’t eroded by salt. And for comfort purposes, it should have a carry capacity of at least 300 pounds and measure about 20 inches from arm to arm. 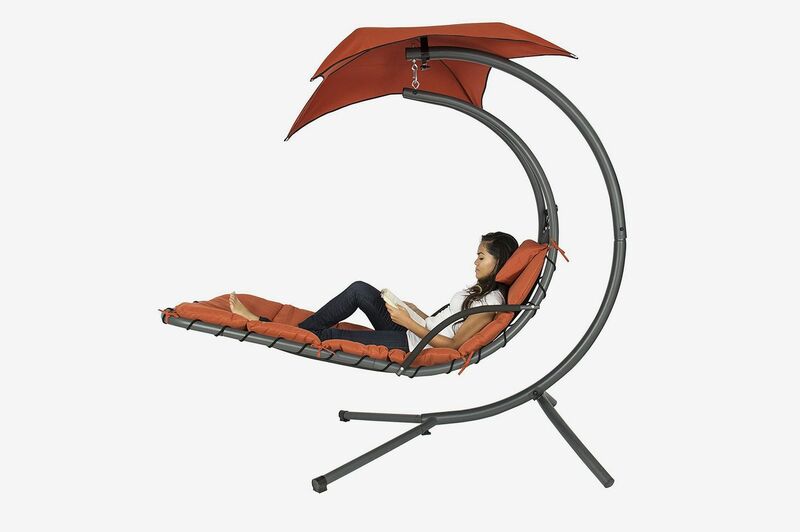 And while there are a few that do meet these necessities, our favorite by far is Telescope Casual’s Original Mini-Sun Chaise. 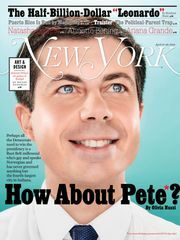 Let’s start with the company itself, a fifth-generation family business founded in 1903 right here in New York City. 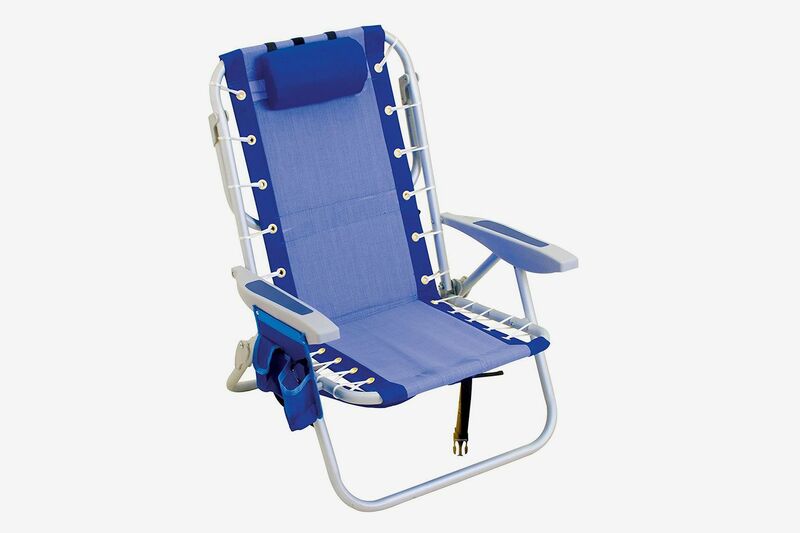 It’s the oldest, most experienced manufacturer of beach chairs in America (most are made in Asia), and they use a unique telescoping process (hence the name), which extrudes the aluminum and makes for a far stronger chair. So strong that these chairs are known to last a decade. The handles are hand-carved wood and pulling them back and forth adjusts the chair among four positions, one of which is completely flat. 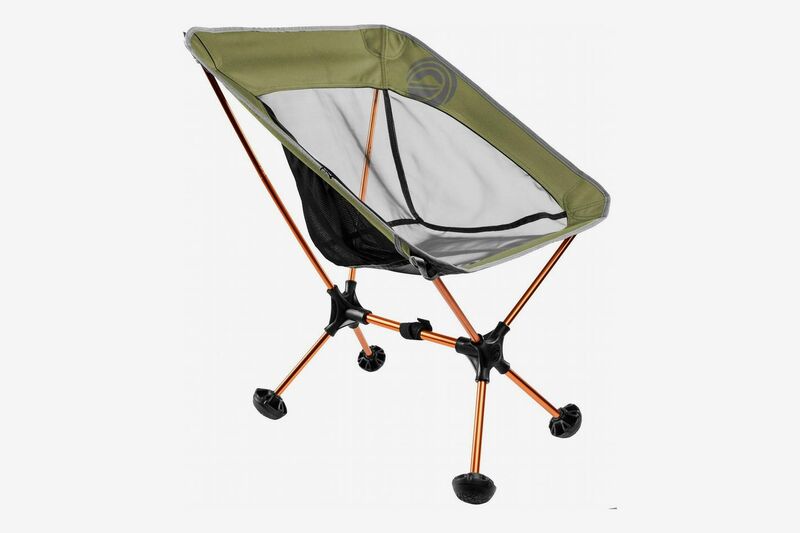 While the chair doesn’t come with backpack straps, it does only weigh seven pounds, so it’s easy enough to carry around. 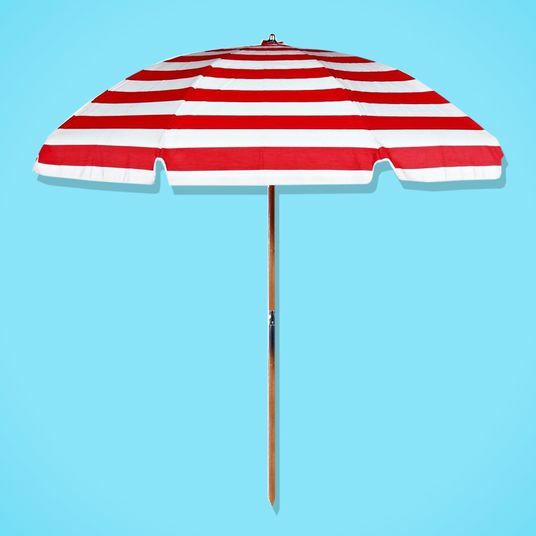 And finally, in such a stripe-heavy category, it comes in the very rare white, while the sun-shielding canopy (sold separately) is available in 15 colors and patterns for mixing and matching, if you prefer a little pop. There’s one thing, though, we must address before ending: the price. At around $150, this thing is expensive. But, like we said, it’ll last a decade. And it’s worth noting that Eytan Benzeno, who founded one of the first online beach outlets back in 1999, beachstore.com, calls this the Rolls-Royce of beach chairs. “Once you’ve had one, you would spend the money again,” he says. 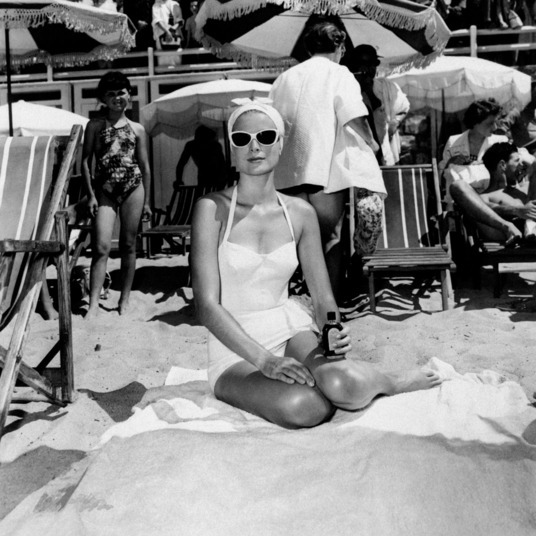 “It’s really for connoisseurs.” Or, as we like to say, the status beach chair. When Bobby Graziose closed on his house in the Rockaways, his broker left him a present: two Tommy Bahama beach chairs. 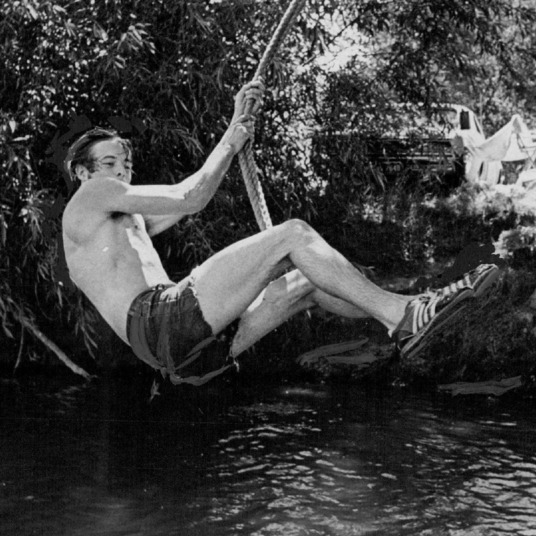 “When we got them, we were like, Oh God, Tommy Bahama,” he remembers. “And then we started walking around and saw everyone else had them.” That’s because, if you can get over the “vacationing dad at Margaritaville” look, this chair has really convenient backpack straps and two sizable back pouches, one of which is a very rare insulated cooler that fits about six cans. 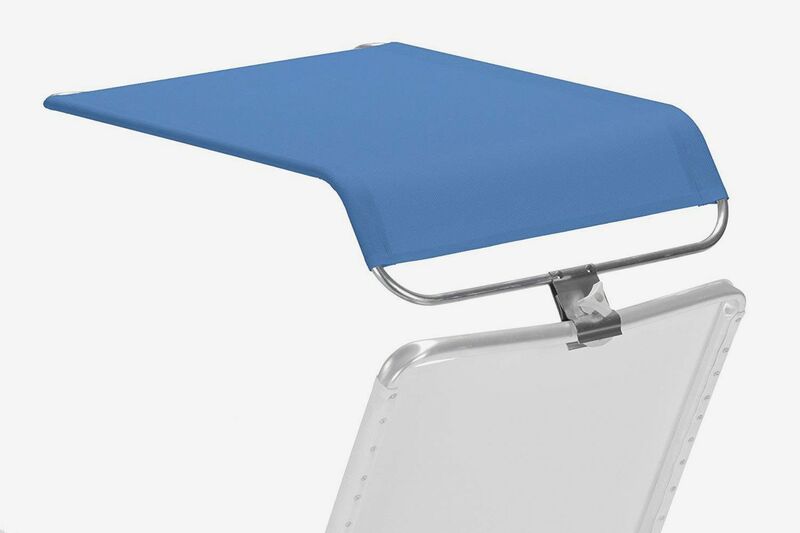 The frames are aluminum, so they won’t rust, it lies completely flat, and a drink and cell-phone pouch hangs off the armrest, which come in either wood or plastic. 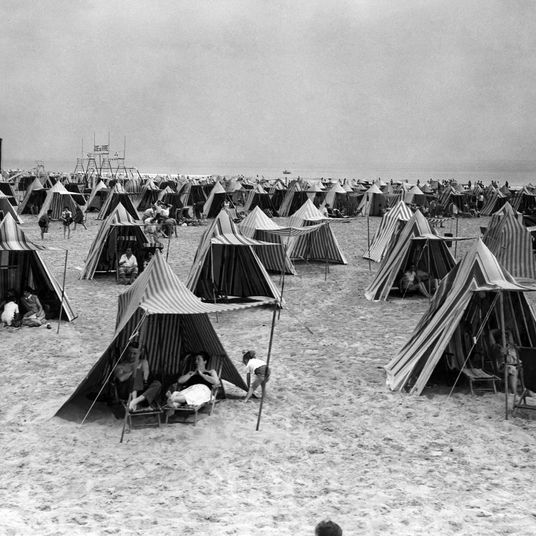 Graziose was so taken that when he opened his company Beach Tripper, which offers daily beach chair and umbrella rentals all down Rockaway, he went all-in and bought Tommy Bahama chairs to rent out to his customers. “They are by far the best beach chairs,” he says now. 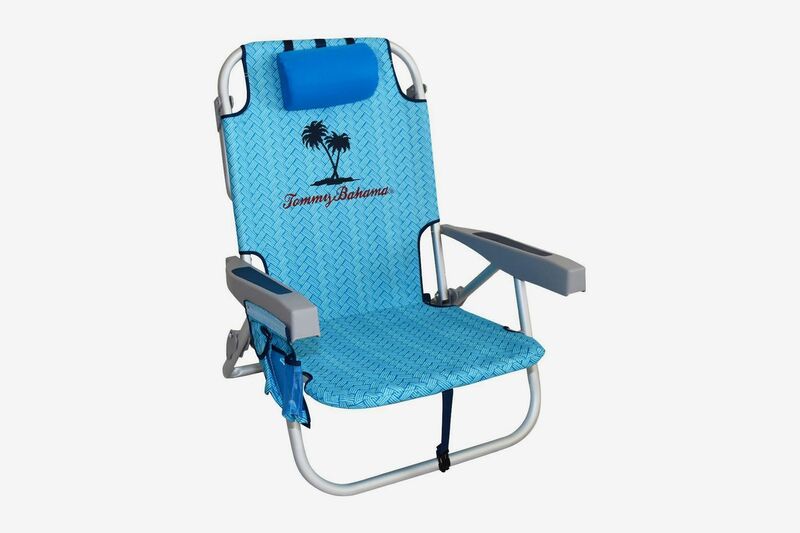 The generic version of the Tommy Bahama beach chair is the Rio beach chair. Rio is actually the company that manufactures the chairs and licenses them out to Tommy. 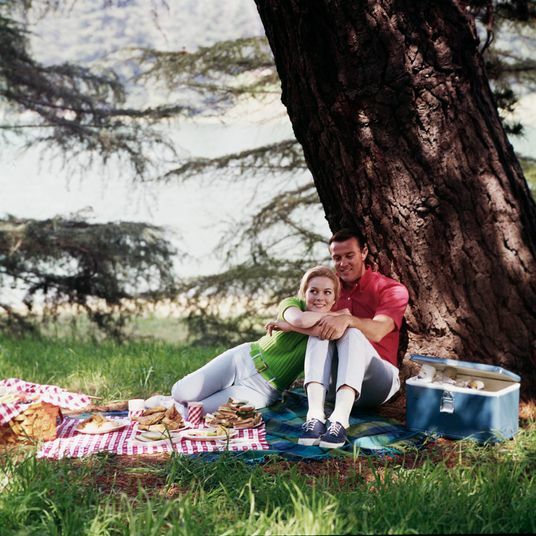 Because of that, their chairs must have slight differences, so you’ll see that this one has lace-up aesthetic, but, like the Tommy, a coveted cooler pouch. 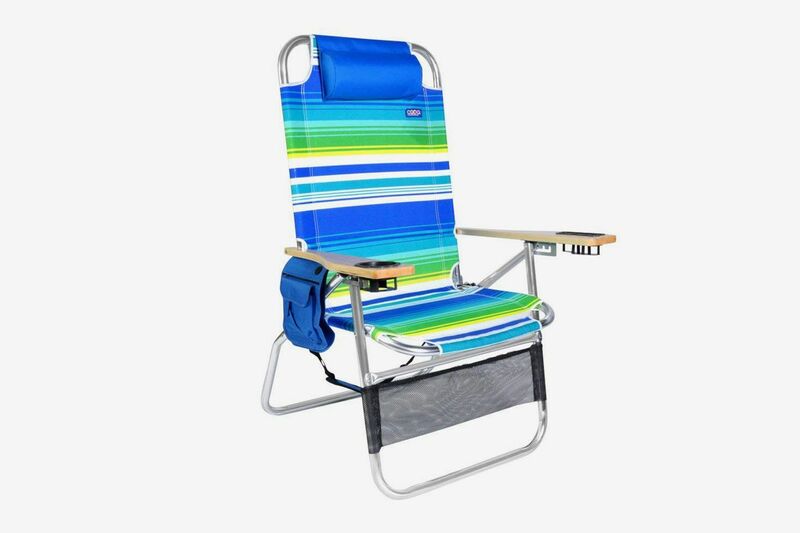 The Ostrich 3N1 is the beach chair that can do everything. 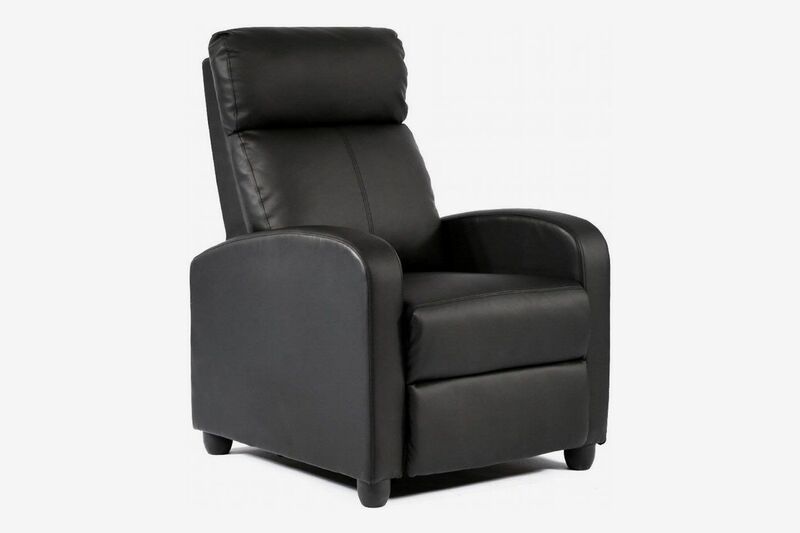 Unlike all of the earlier chairs in this article, it’s got an adjustable foot rest, so when you lie back completely flat, your bottom half will also get some support. 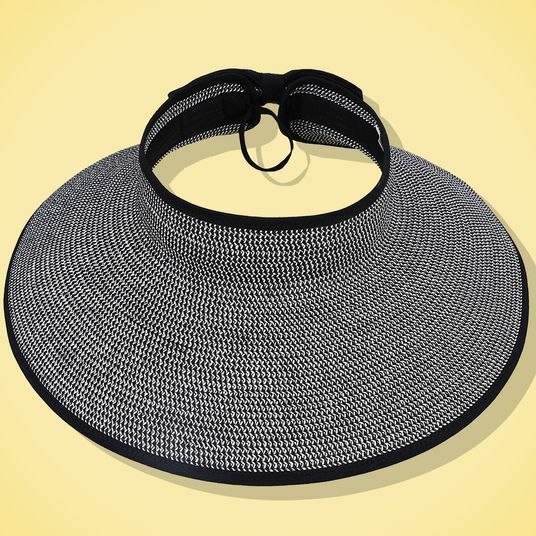 Most notably, when you flip up the head pillow, there’s a hole in the chair like you see in massage tables, so that you can lie comfortably on your stomach without straining your neck. Those two holes on the side of the chair are so you can poke your arms down, too. Just imagine: your head in the massage circle, a book on the sand, and your two arms sticking through ready to turn the pages. Of course this thing is big, but it’s got a shoulder strap for easier transporting. 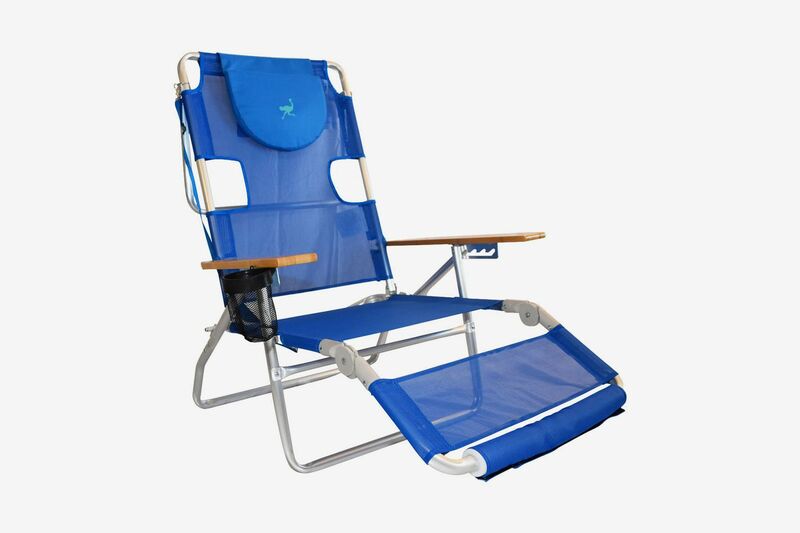 The latest innovation in the category are beach chairs that sit higher off of the ground, so that older people can have an easier time sitting and standing. 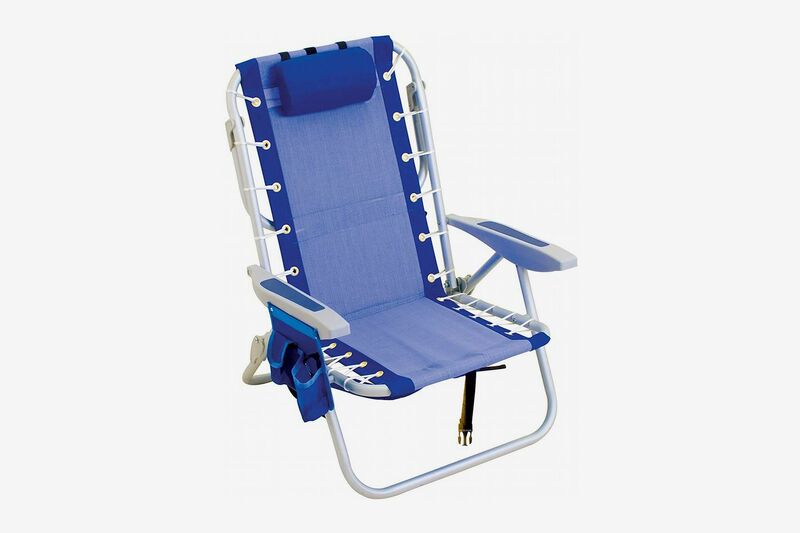 Whereas the average beach chair sits between six and ten inches off of the ground, these start at 12 inches and go up to 17 inches, like the Big Papa pictured here. What’s special about the Big Papa is that in the past, the cloth on these higher chairs would cut off circulation under the knees, but this one has a metal bar that bends ever so slightly under the knee, just like your leg does, so you’ll sit comfortably in the sun all day. 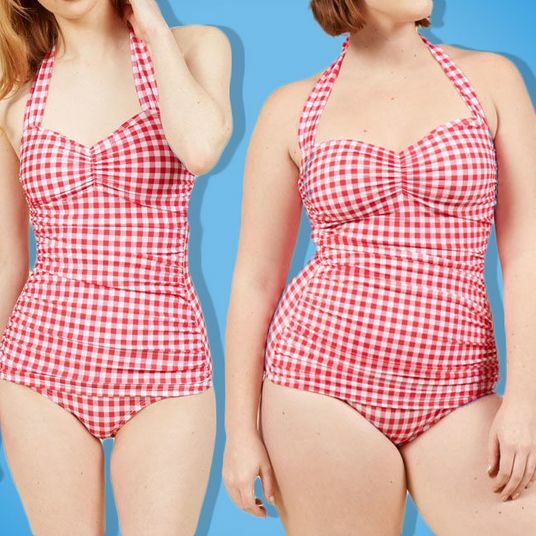 A major advancement in a market that doesn’t often see them.